crafty adventures of a makeup loving Japanophile! It's release time and today I'm introducing Wink Mae! This is SUCH a fun set, the frame is really cool and I can't wait to play with it all more. Instead of using the frame as a portrait frame for the girl, I thought it would be fun to use the frame to frame the sentiment (are you still with me?!). I heat embossed the frame with gold glittery embossing powder, which gave it a nice antique look. I used my white gel pen to draw a slightly wonky line around the outside of the green patterned paper panel, I love this look, it really finishes off simple cards. I hope you like her! I'll be back again soon but till then, please head over to the blog or Facebook page to see even more inspiration! All content including, designs, text and photographs on this site belong to © LINDA TRACE, unless otherwise specified. They are for your personal inspiration only and may not to be used unless contacted. Thank You! 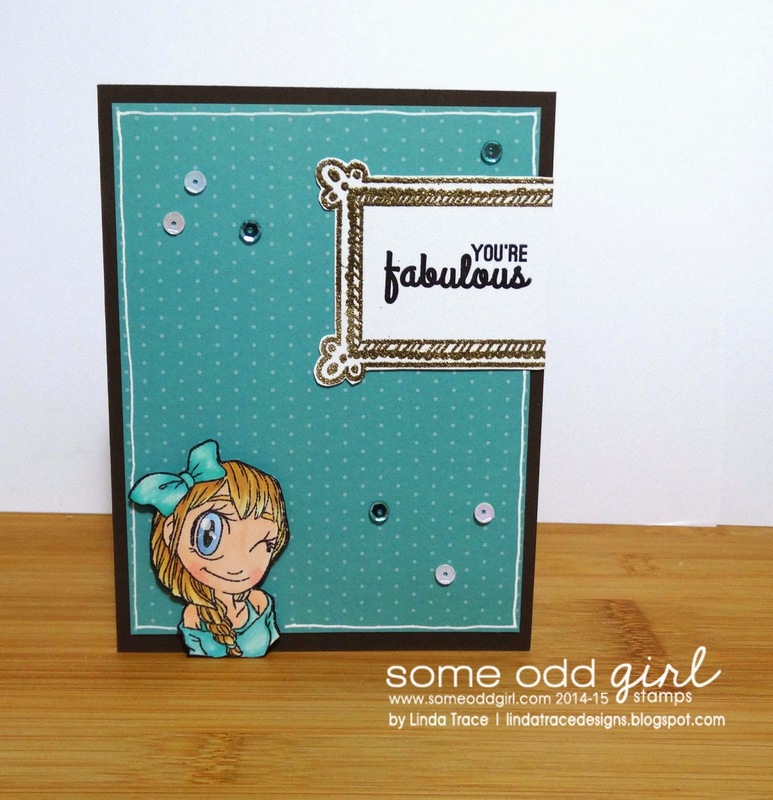 ThingsCrafted Grand Opening BLOG HOP!